MAUI, Hawaii - Aug. 8, 2018 - PRLog -- With only two Plotagraph reposts on Instagram, Team GaryVee managed to celebrate what Gary Vaynerchuck is best known for: Being a digital marketing and social media icon. 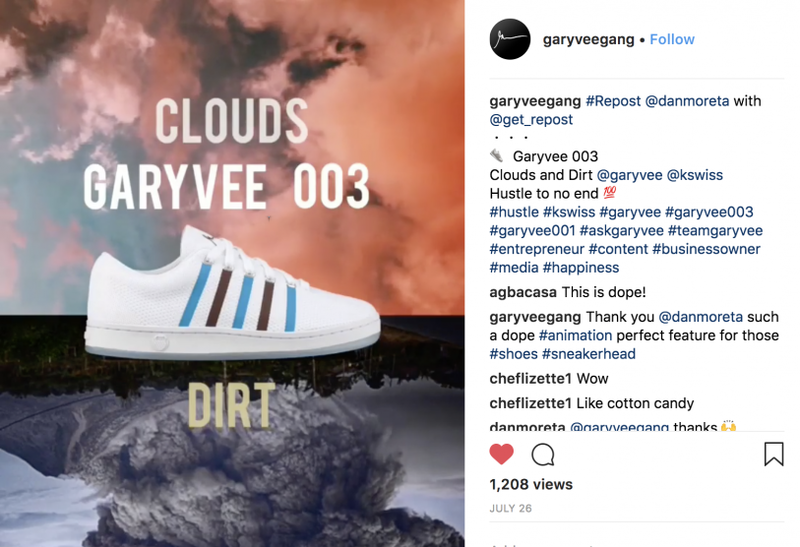 GaryVee's "003 Clouds and Dirt" sneakers by K Swiss can be seen floating in a hypnotizing looping video. The cloud movement strikes curiosity because the loop is perfectly fluent, with no sign of a beginning or an end. 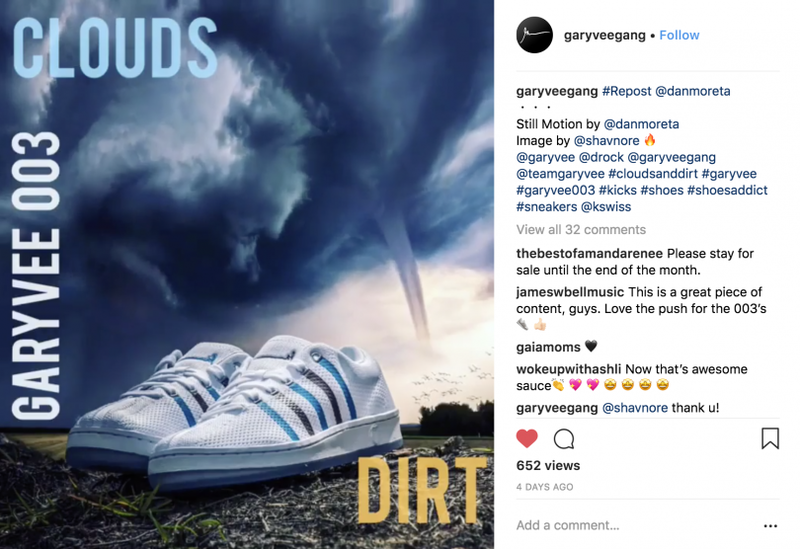 Gary Vee's Gang ramped up 3 times more engagement with this Plotagraph than on any of the posted still images on their official Instagram page. Advertising on social media has become tricky. Stats are proving that younger generations have little to no attention on branded content. Native Ads, camouflaged as news, have become a popular method to trick audiences into viewing ads. They are designed to blend in with the websites' layout to be clicked on by unassuming visitors. However, if a product is recommended by a trusted influencer, it sells like hotcakes. Plotagraphs have proven to amplify this effect consecutively. 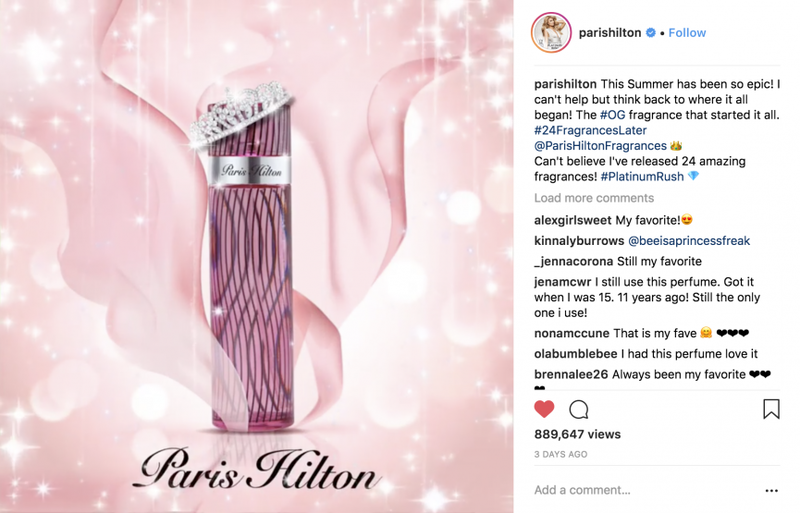 Paris Hilton garnered over 4 million views on her Plotagraphs promoting her products and upcoming events on Instagram. GoPro's Plotagraphs have earned the company over 1000% higher engagement on Instagram. Photographs-turned-Plotagraphs attract attention like a magnet. They create the opposite effect of Native Advertising. Plotagraphs make brand ads stand out rather than hide in surrounding feeds. There is a reason why Facebook lists Plotaverse in their selection of top 5 photo apps to create better ads. The movement is so unusual to the human eye that branded Plotagraphs stand out, even in the most saturated feeds.